Do you want to create a Facebook Messenger Bot? Tools like ManyChat make it a walk in the park. However, it takes some time before you figure out what the possibilities are and how you can get the most out of all the features. That’s why I’ve created this full ManyChat tutorial for you. I take you through all the features of ManyChat step-by-step so you can create your first Messenger Bot. What’s ManyChat their pricing like? Exclusive bonus: Want more advanced tips? Get my free chatbot tips in Messenger by clicking here so you can get subscribers engaged and sell effectively without being salesly. Let me explain first what ManyChat is before we dive into how the whole thing works. 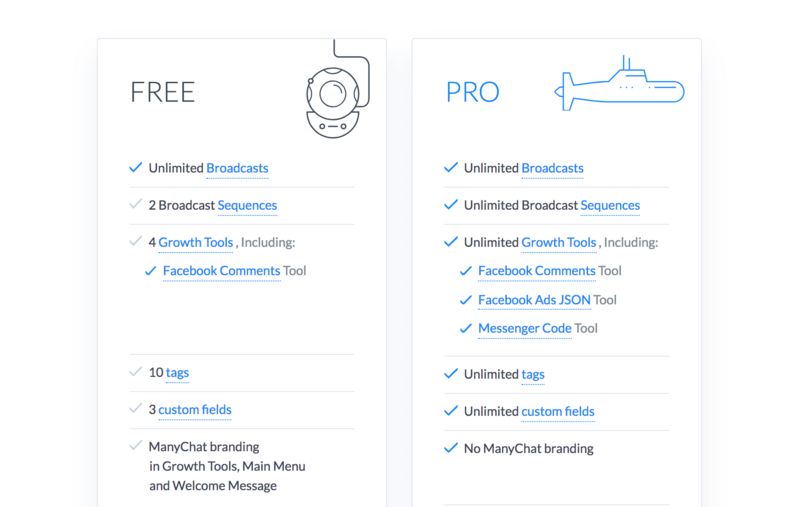 ManyChat is a tool which allows you to create Facebook Messenger Bots for marketing, sales, and support. 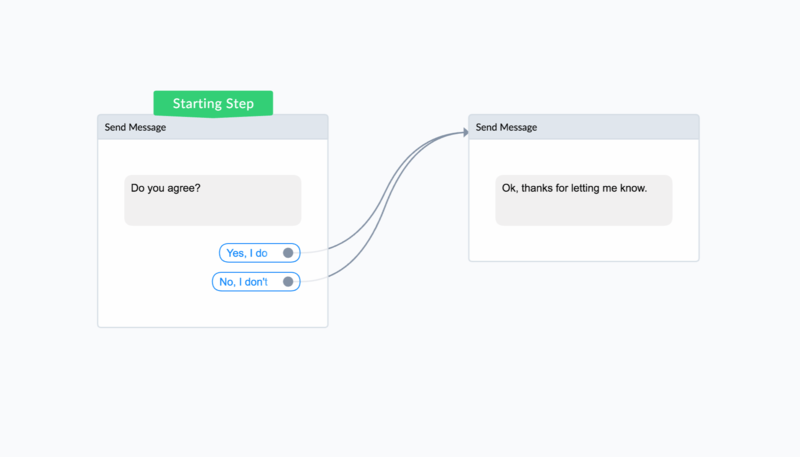 You can create whole bots with it in their visual Flow Builder and they allow you to create a dozen ways to get people into your Messenger Bot. 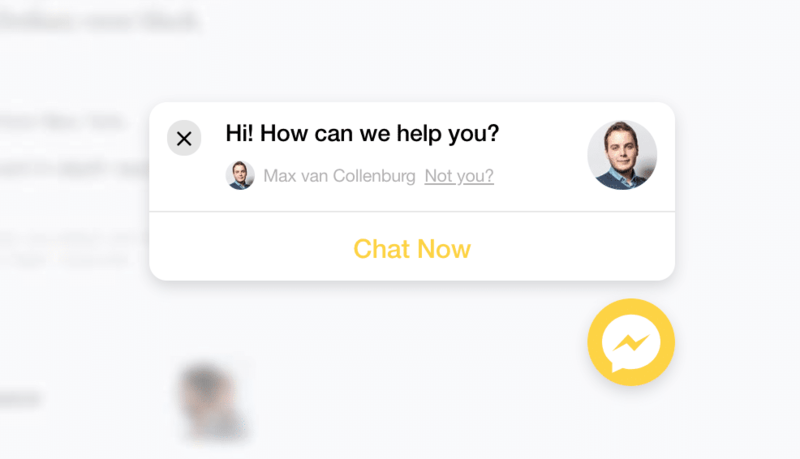 ManyChat offers two different levels. The free version & the PRO version. The free version is, obviously, free. However, you’ll be missing out on a lot of PRO features and all the Growth Tools will have ManyChat their branding on them. The PRO version is freakin’ amazing as it has a lotttt of features. You can create as many sequences as you like, your Growth Tools won’t have branding and most importantly; you can use tags, integrations & custom fields. The price of PRO depends on the number of active subscribers you have. Until 500 subscribers it’s $10, until 1000 it’s $15, until 2500 it’s $25 and so on (full pricing details here). Conclusion: the free version is totally okay when you’re just starting out and want to play around with it, but as soon as you get a teeny-tiny bit more advanced you’re going to need the PRO version. One of the things that makes ManyChat so great is their visual Flow Builder. It makes the whole bot very visual which makes it easier to structure & build conversations. In this video, I’ll give you a quick overview of what it is and how it works. People are often confused about Quick Replies & Buttons. They’re pretty similar, but at the same time they’re also very different. Use Quick Replies to have conversations because they disappear when someone clicks them. Use buttons to send people to websites and not for conversations because people can scroll up and ruin the user experience. This is one of the coolest parts of ManyChat. 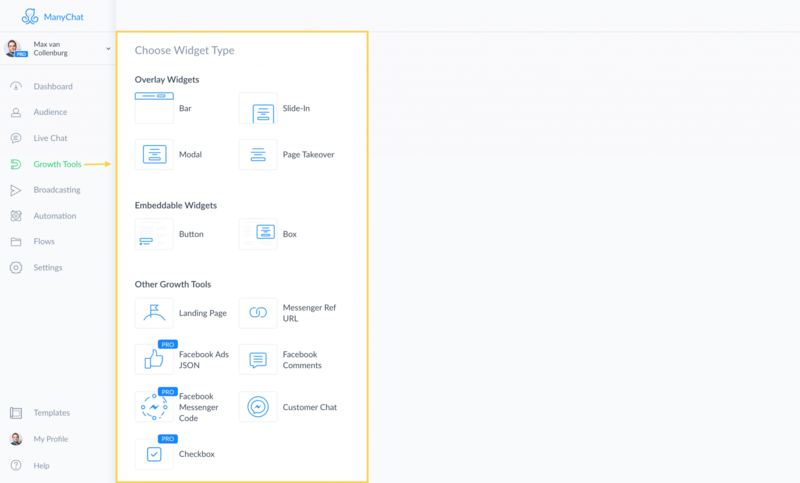 Inside the Growth Tools area, you can customize a number of different overlays, widgets, and pop-ups to help encourage people to engage with you via Messenger and join your subscriber list. Below I’ll explain them all. This one creates an opt-in bar at the top of the website that you can modify completely to your own needs. A pop-up window appearing in the center of the screen. An opt-in window that slides into view from the edge of the screen. With this Growth Tool, you can add a whole overlay over your website. I really like this one. It allows you to create a button that can be placed anywhere on your website, or even embedded into third-party widgets. The button looks very clean, but the downside is that you can’t customize the branding (only blue or white) and can only pick from a handful of texts. The good thing here is that you can customize the colors & the text on the button, but the downside is that people have to check the checkbox and that the whole thing looks a bit bulky. When someone clicks either of these buttons you can change the Submitted State. You can decide to redirect someone to another page (for example a thank you page), or you can show a success message inside the button. I like to redirect people to another page (or to Messenger itself), but it’s totally up to you! Then, last but not least, you’ve to change the opt-in message. The opt-in message is what people receive inside Messenger after they click the button. Note: if you use the button with the checkbox you can’t use variables like someone’s first name. This one is pretty similar to the Button Growth Tool above, but this time you can also create a whole box around it. There are a bunch of settings you can do. Like the button type, colors, button background, button size, button text, width and you can even add an image if you like. I think this Growth Tool is great if you’re not so handy with making websites but otherwise, you could create these things yourself with the button growth tool and customize them even further. 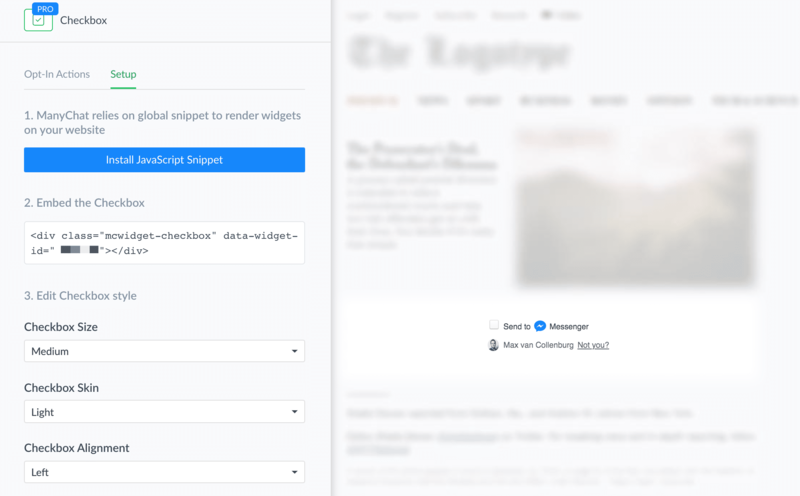 The landing page growth tool is not so super exciting, but it’s handy for situations when you don’t have your own website or just want to create a landing page super quick. A URL with a ref-code that opens your bot’s page in Messenger. Useful when you want to track traffic sources or have a separate welcome flow for different audiences. I think this is one of the coolest Growth Tools because you can use it for soooo many things! You basically create a URL that can open your Messenger Bot in Messenger. On your Facebook page in the cover & profile photo. In blog articles to get people to opt-in (example). Facebook Ads JSON enables you to start Messenger conversations with users who click on a Facebook Ads. This Growth Tool is extremely exciting! It allows you to convert users who comment on a specific post on your page. You first have to select a post, then decide when you want to send it and for which comments you want to trigger it. 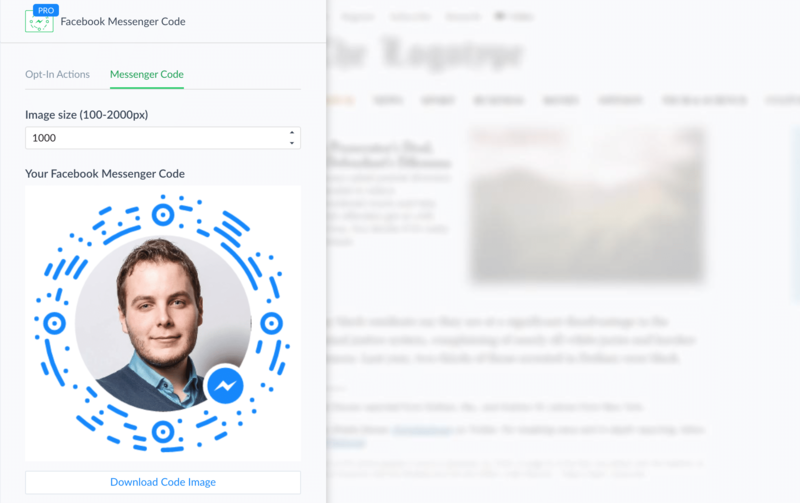 Messenger Codes can be scanned to instantly link the user to your bot, no typing needed. They’re great on fliers, business cards, ads, or anywhere in the real world where you want people to try your bot. Feel free to scan the Messenger Code above to see how it works ? The customer chat is a really cool one. 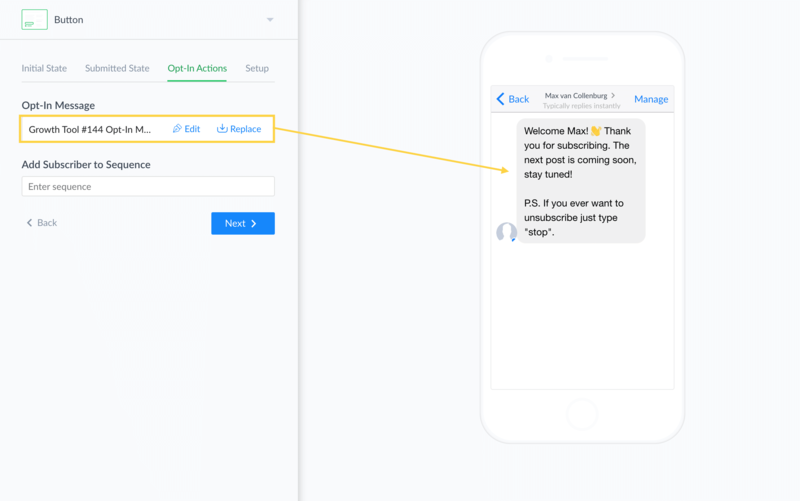 You can add it to your website and people can chat with your Messenger Bot (or with you!). You can change the color & text to your own needs. 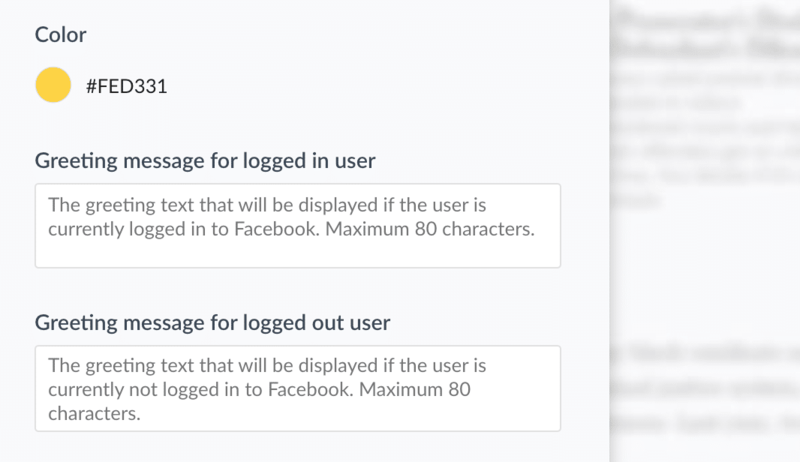 It’s even possible to show a different message depending on if someone is logged in to Facebook or not. And after you’ve done all that, you only have to change the message people get when they start a conversation. This one is a bit more advanced because you have to integrate the button into your website but it’s quite cool. You could, for example, add this to your email capture forms so you capture someone’s email address and get them into Messenger at once. Or you could add the checkbox to your checkout form to keep them updated on their order. You can read more about the Checkbox Growth Tool here on Github. There are also some guidelines, make sure to read the Platform Policies. 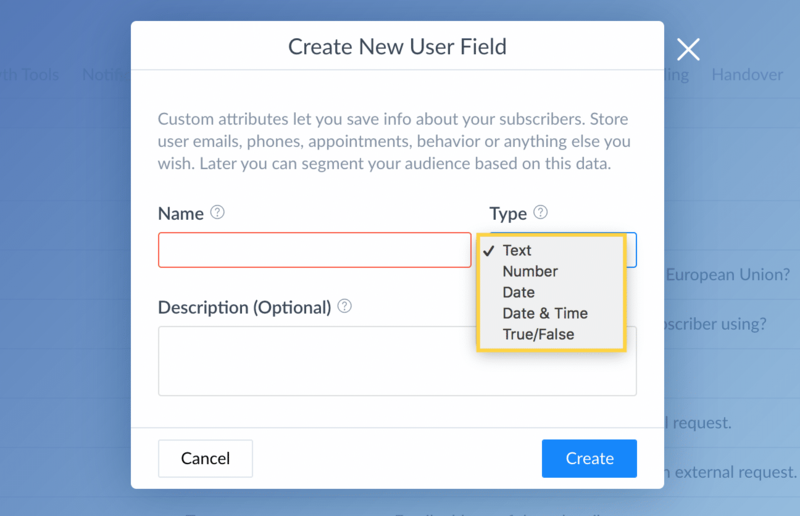 You can use Custom Fields to save info about your subscribers. You can, for example, store emails, phone numbers, appointments, and behavior. Later, you can use this info to segment your audience & send conditional content based on the values of these Custom Fields. Text: can store any kind of text. Number: can store a number and make calculations within ManyChat. Date: can trigger a date picker & store a date. Date & time: can trigger a date & time picker store a date & time. True/False: can store the value Yes or No. Once you’ve created your custom field, you can use them in your Flows. Let me show you an example with a True/False Custom Field. Let’s say we want to store yes or no in a flow, depending on if someone clicked yes or not. The result of this is that if someone clicks Yes we can save it into the custom field, and use it later in the conversation. 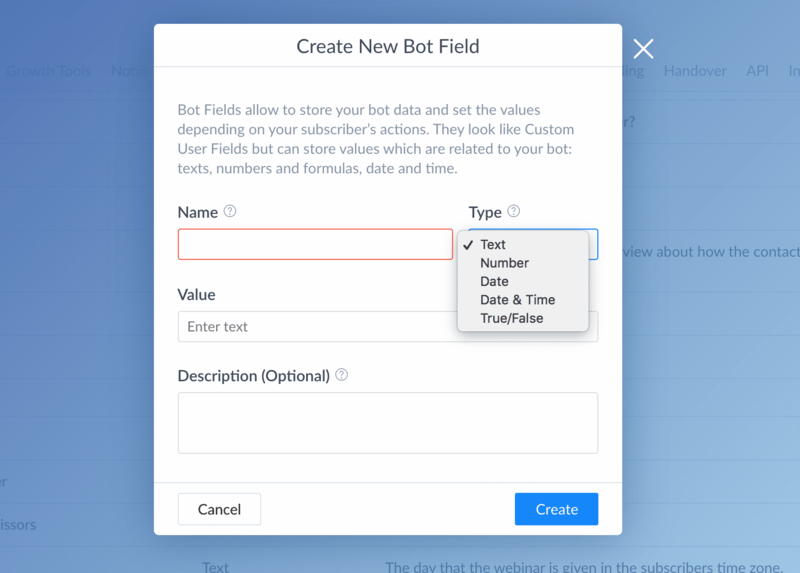 What is the difference between Custom Fields & Bot Fields? Custom Fields are unique to each user, while Bot Fields are for everyone the same. With a broadcast, you can send a message all your subscribers or a segment of subscribers. Subscription broadcast messages can’t contain ads or promotional materials, but can be sent at any time regardless of time passed since last user activity. Promotional broadcast messages can contain ads and promotional materials, but can only be sent to subscribers who were active in the past 24 hours. After the end of the 24-hour window, you have an ability to send “1 follow up message” to these recipients. After that, you won’t be able to send them ads or promotional messages until they interact with you again. It’s very important that you choose the right one because you don’t want to break the Platform Policies. You can send the broadcast either to your whole list or to a smaller segment of your list. It’s possible to send the broadcast right away, but it’s often smarter to plan it in for a time that you know it’s more likely for your subscribers to be active. This one is important if your subscribers are based in different timezones. Send all at the same time: all messages will be sent at the same time and will be delivered as soon as possible. Time travel: message will be delivered at the same daytime according to the user’s timezone. Limit sending time: message will be delivered as soon as possible once user’s daytime in his current timezone matches desired delivery hours. This is where you can decide what kind of notification you want to send your subscriber. Regular Push: this will display a notification for every message. So if you send 5 messages they’ll get 5 notifications. Only 1 regular notification: this will trigger only 1 regular notification (the first message in the broadcast) and the rest of it will be sent in silent mode. Great for when you have 2+ messages in your broadcast, but don’t want to send too many notifications. Only 2 regular notifications: very similar to the previous one, but this time it will send two notifications. Silent Push: this one will still display a phone notification, but this time without sound. Silent: this one will display no notification at all. They’ll see your message next time they open Messenger. I prefer to send only 1 regular notification. Most of them depend on the needs for your Messenger Bot, but I’d love to show you how I’ve set it up to make your life a bit easier. The general settings have some important parts. Below you can exactly see how I’ve set it up. The greeting text will appear to people who are starting a conversation with your Messenger Bot for the first time. Before they become a subscriber they first have to click “Get Started”, that’s why in that text I explain what they can expect to learn and what they have to do. I like to use mnch.at. You can also choose to disable the shorter, but ManyChat can’t track when people click buttons on cards anymore (which I think is very important to track). Then you also have the option to disable keyword input. I would only recommend this for simple bots and if you don’t want people to ask any questions. Keep in mind people also can’t give their phone number or email address if you disable it. When a subscriber types something that the Messenger Bot doesn’t know how to handle you can open conversations in the Live Chat so you can jump into the conversation there. To enable that you’ve set it to “Any message starts a conversation”. 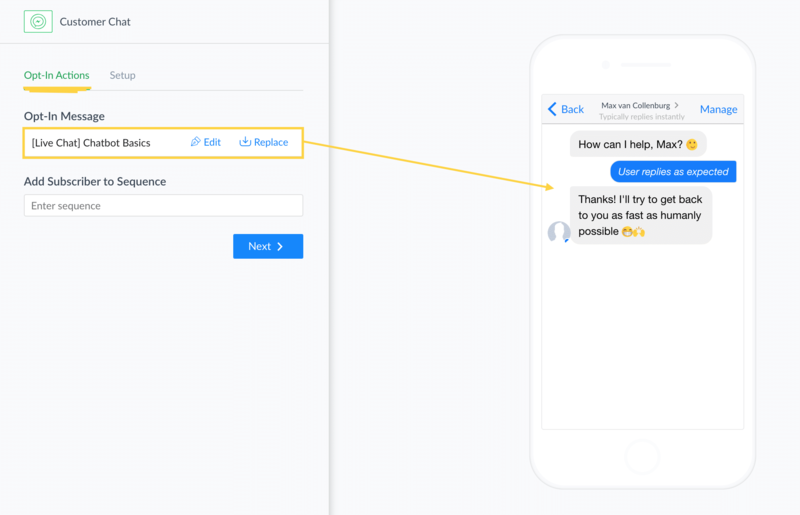 If you set it to “Conversation should be opened explicitly” you might miss out on questions people ask because the conversation will only be opened if you added an Open Conversation Action in your flow where you expect them to reply. On this page, you can decide how Growth Tools appear on your website. You can change the language, authorize your websites and remove the ManyChat branding if you like. 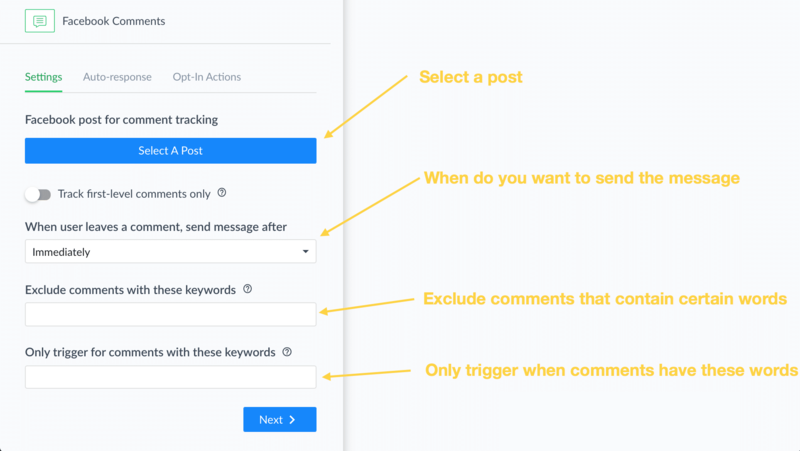 In a flow, it’s possible to add an action to notify the admins of your Messenger Bot. With these settings, you can manage how that’s handled. I’m managing my Messenger Bot on my own, but it’s also possible to add other admins, editors, live chat agents and viewers. 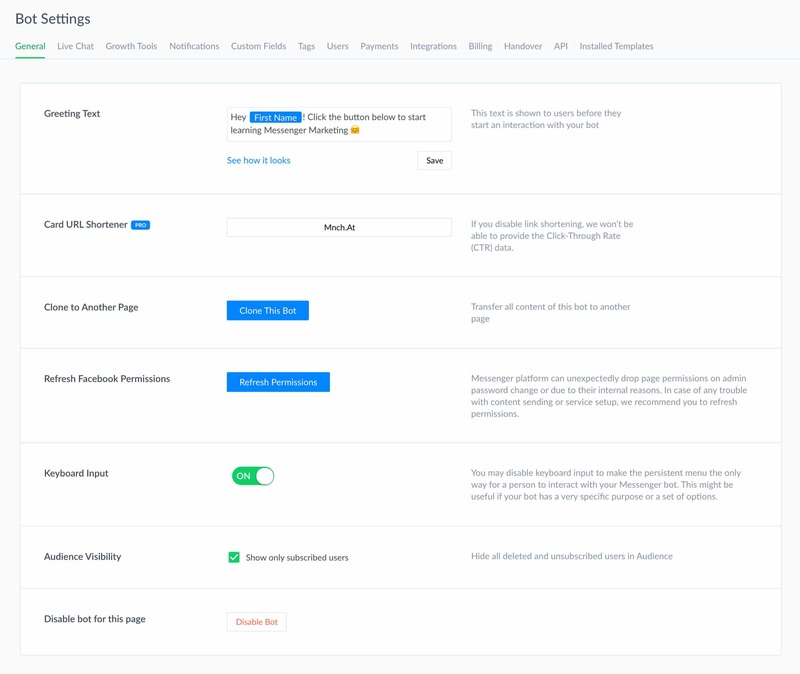 Admins have full bot control including user roles management and following abilities: they can disable and clone the bot, share its contents, create and install templates, manage billing and payments. Editor role is the second most important role in bot management. Editors can create and manage bot content (including template installation), but they do not have enough permissions for disabling the bot, cloning or sharing the content, and creating templates. 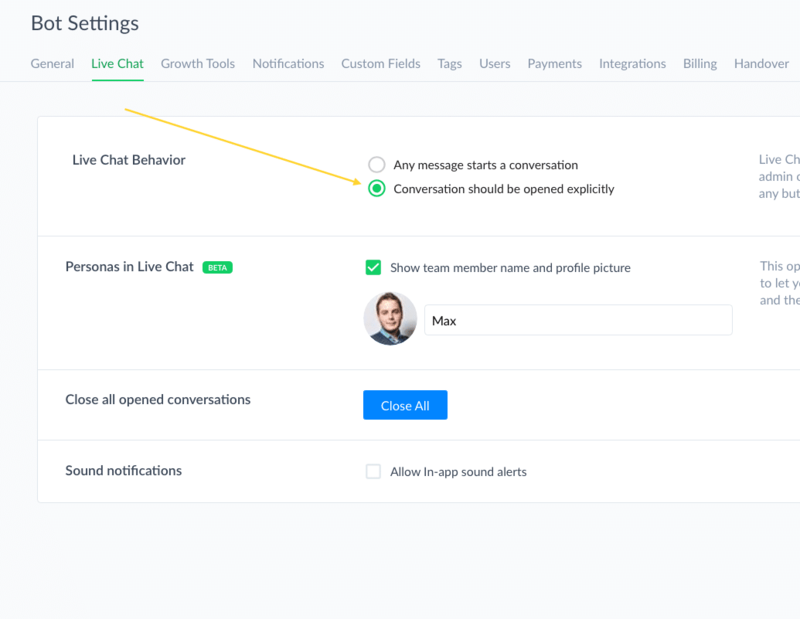 The Live Chat Agent role is used to communicate with bot subscribers and grants all the required permissions to manage conversations inside Live Chat. Live Chat Agents can assign existing Tags and manage Custom User Fields values. They are not allowed to create or edit bot content but can view all the existing flows. Being a viewer allows team members to track bot stats and view sent Flows data in “view only” mode. Viewers are not allowed to create or edit bot content. I hope this helps you a lot to start building your first Facebook Messenger Bot. I update this page regularly with new ManyChat features, so feel free to bookmark this page. If you would like more advanced & strategic tips then you can subscribe to them in Messenger by clicking here. P.S. Let me know in the comments if you’ve any questions. Hi Max! When a user is in a Manychat and writes something before clicking the quick replies buttons, the automation stops. Is there any way to force the user to use quick replies and continue the automation? Good question, Helder! I know that a lot of people struggle with this. It’s annoying for the user and will also cost you more time. I came up with a simple solution that I like to call “Monkey Proof Quick Replies”. Instead of quick replies we use the user input field, set it to multiple-choice, save the answer into a custom field and then we automatically continue into some conditions to check the different answers. 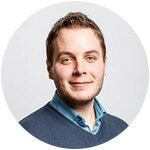 Hi Max, thanks for this tip as it will really improve on the deliverability of some important messages in the flow. Really learnt much from it. Awesome! I intend to integrate it in my website. Hi Max, thanks for the breakdown! One thing I haven’t figured out is how to prevent a new Messenger thread from opening for every contact to which I send a broadcast. Every time I send, we get blasted with open threads in our inbox and all it shows is the message the was sent. I don’t want to see anything until they take action or ask a specific question. I tried turning off the “notify admin” function, but I guess that’s just for specific actions. Any thoughts on how to handle this? Hey Jeremy! Oh, that’s not supposed to happen. You don’t have an action inside your broadcast by any chance that’s opening the conversation? Otherwise, I would ask support if they can help you because it might be a bug. Another solution is to only open conversations explicitly (under settings), and then add a “Open Conversation” action inside your Default Reply like this.